Since 1977, we’ve been on the forefront of events and their use as a marketing platform. 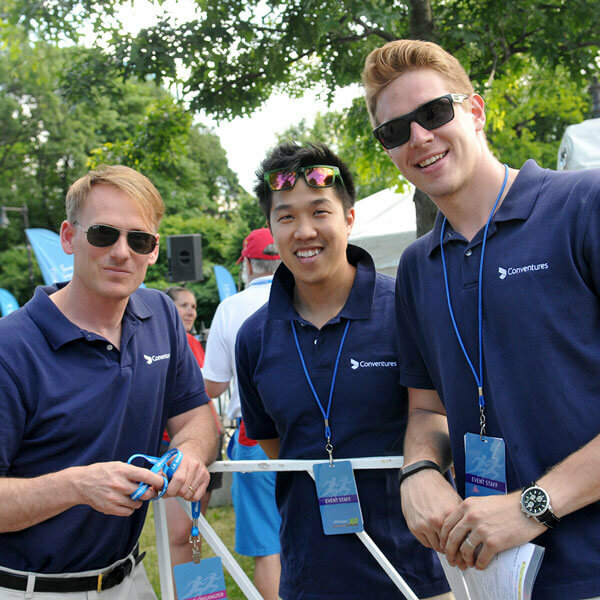 Our history is teeming with innovative programs in corporate events, sports, and public festivals. In the past four decades, we have evolved into a multidisciplinary agency integrating event development and production, experiential marketing, creative design and social media. Armed with a talented, creative and energetic team of professionals, Conventures is able to organize, implement and orchestrate multi-discipline programs to reach your customers, engage constituencies, and deliver outstanding returns. You and your staff were simply fantastic! I have never seen such professionalism, attention to detail and creativity in any one production company before. Words like ‘elegant’ and ‘perfect,’ while accurate, don’t convey strongly enough what an incredible evening you helped achieve for us. 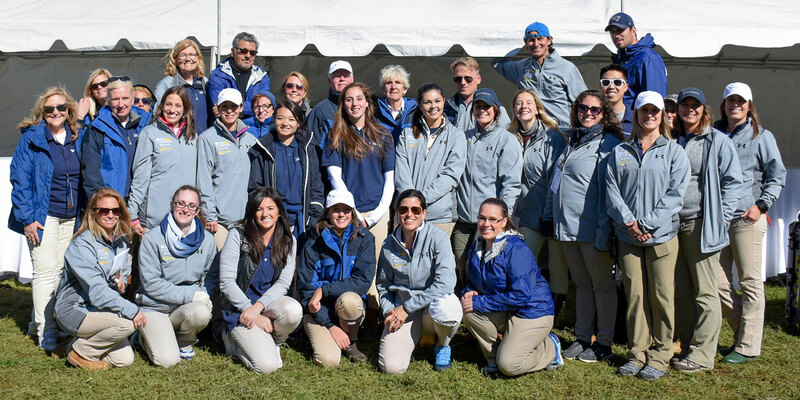 There is absolutely no way that we could have done this event without you and your team. It all started with a $200 phone deposit and a borrowed desk on Newbury Street. There were no special event firms—only a smattering of advertising and PR agencies—and very few women entrepreneurs. The year was 1977 and Dusty Rhodes had a new idea—to use events as a marketing medium. Fresh from a stint as the only female general manager in professional football (the WFL’s Charlotte Hornets and the New York Stars), Dusty created one of the first companies of its kind in the country—Conventures. Her ability to marry big picture strategies with critical small detail planning took clients into new territory. Dusty, having been a keen and competitive athlete, brought her natural leadership ability to bear in this fledgling industry. Building her core philosophy around the concept of “team work,” she and her Conventures team proceeded to educate New England’s companies and institutions about the potential of events to achieve business and fund raising objectives. The invitation to her first event provided only latitude and longitude for location. Her creation of “Tribute Dinners” for non-profits became an industry standard. Conventures was one of the first to use live and silent auctions as a fund raising mechanism. 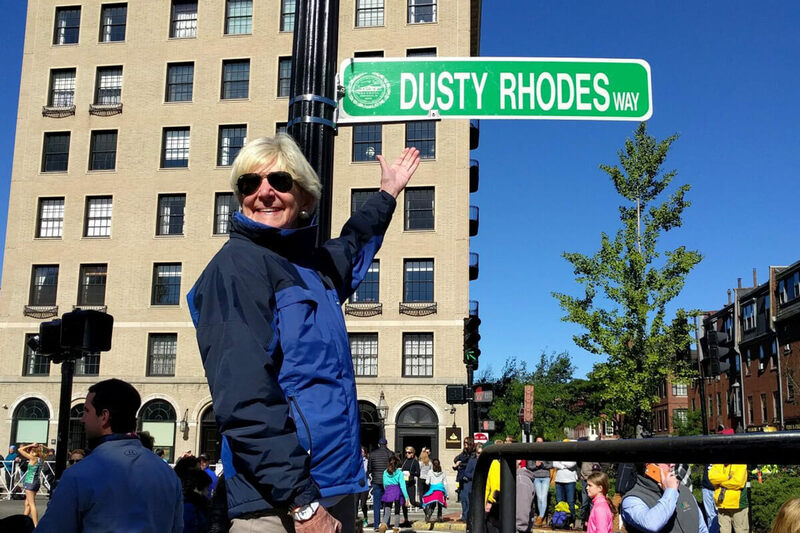 Dusty capitalized on the fledgling pastime of running in the mid ’70s and built the largest women’s running event in the United States—the Reebok Boston 10K for Women. The four Tall Ship festivals (Sail Boston 1992, 2000, 2009 and 2017) that Conventures coordinated rank among the largest public celebrations in New England’s history. 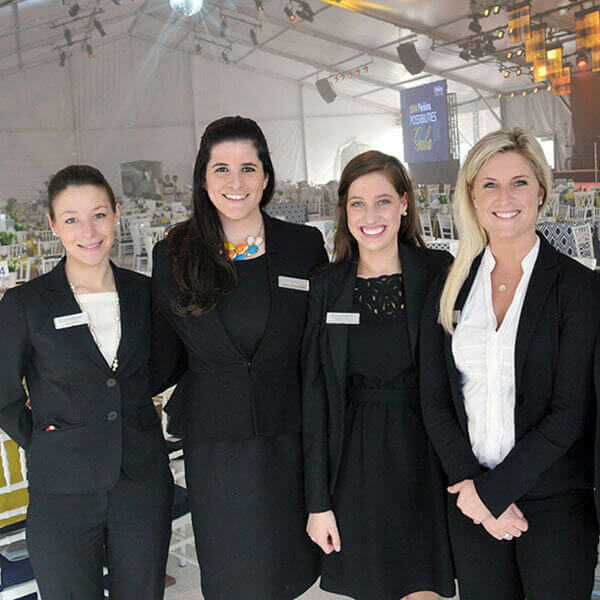 Over 40 years and more than 5,000 events later, Conventures has earned its reputation as New England’s leading events company through innovation, knowledge of the community and total commitment to doing the job first class.